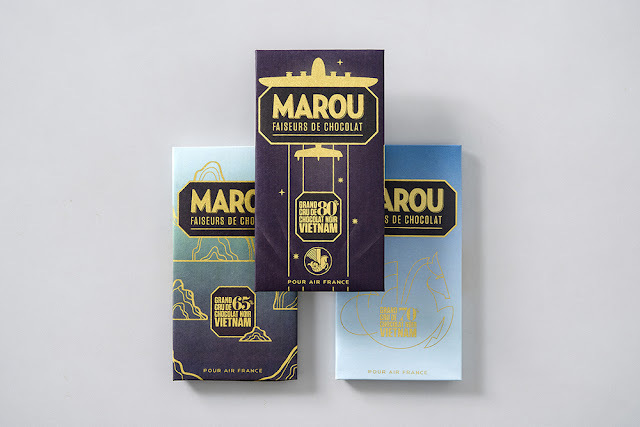 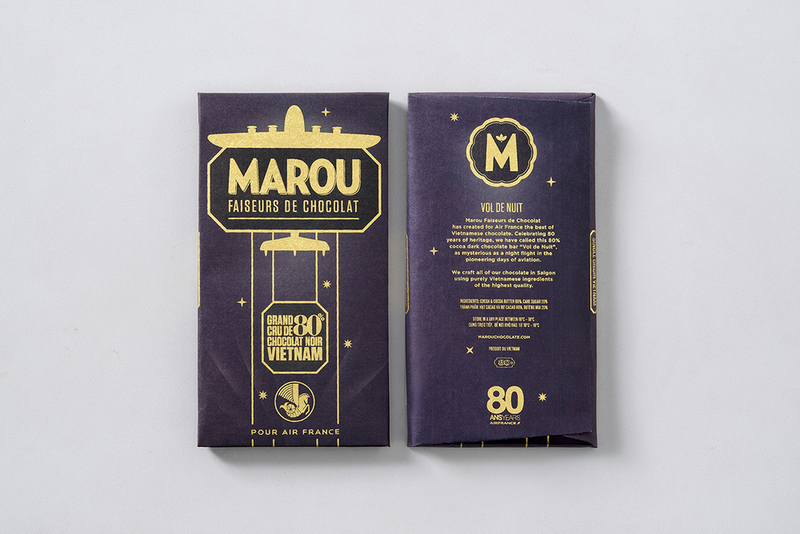 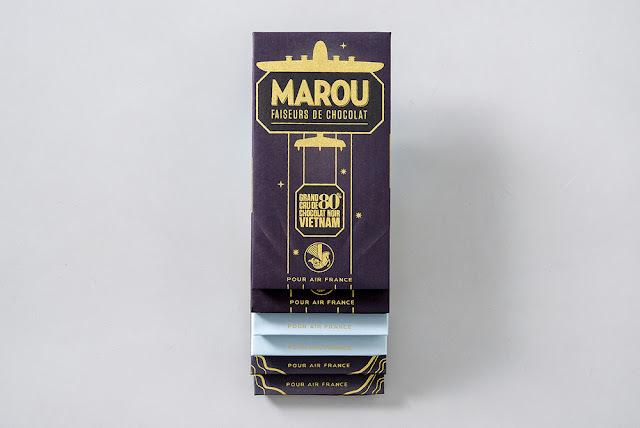 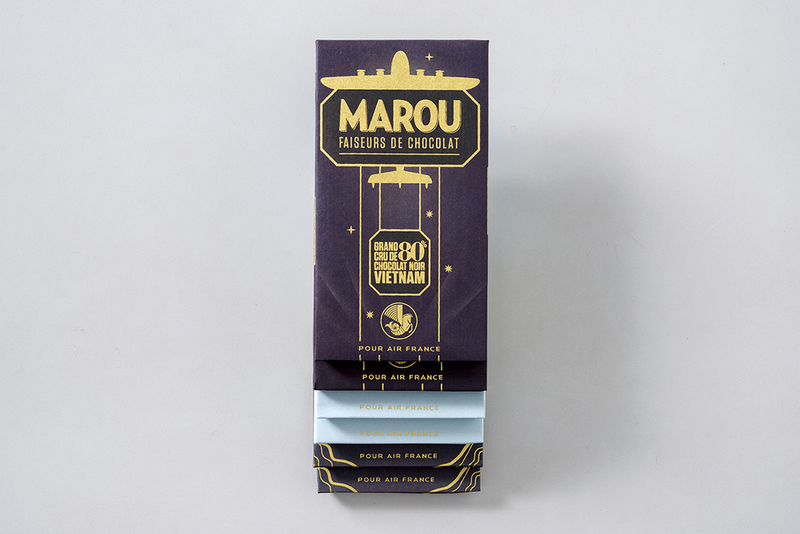 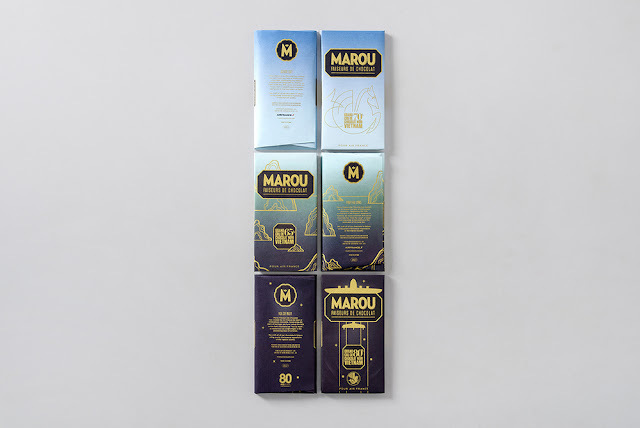 Air France approached Marou Chocolate to commission a specially designed Marou chocolate bar for their annual charity gala. 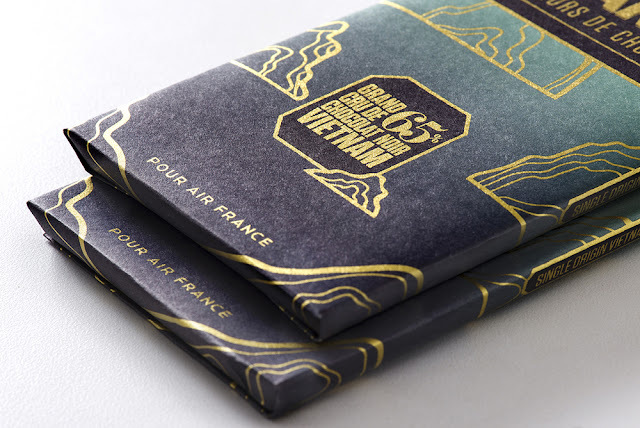 The theme would be celebrating the Paris to Saigon route. 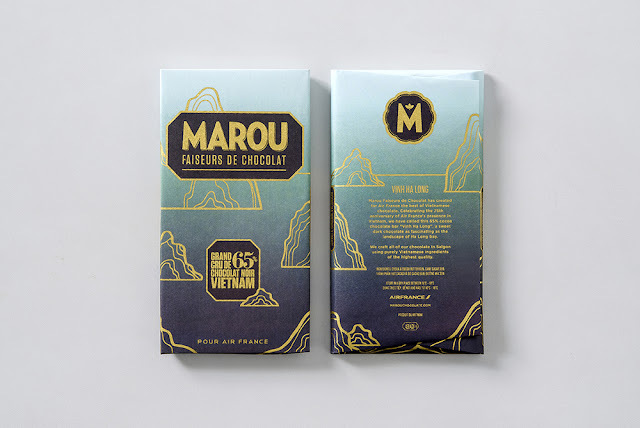 Marou and the Rice Creative team quickly put their heads together and offered something traditionally beyond the brief. A connected 3 bar set which draws inspiration from the extraordinary graphic history of Air France, the wonders of Vietnam, and that silky smooth ride in the sky at 30,000 ft.
"To us AF was definitely not just another airline, but a piece of history that resonates strongly with what we do: bridging France and Vietnam through a great product." 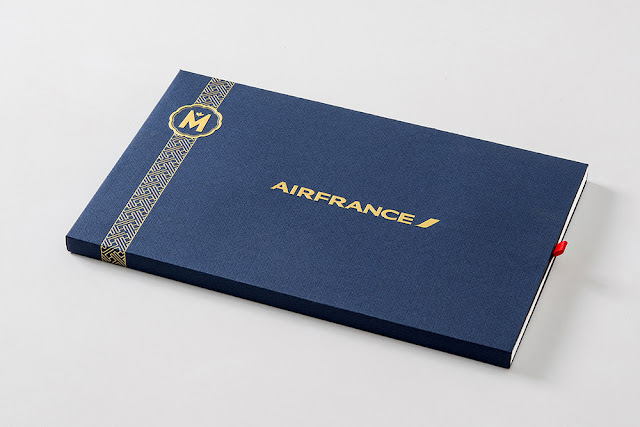 As history buffs we knew that Air France turned 80 this year, it’s a grand old age for an airline company, but the roots of what became Air France go even further to the dawn of commercial aviation when passengers were bona fide adventurers and the pilots freshly reconverted heroes of the Great War. 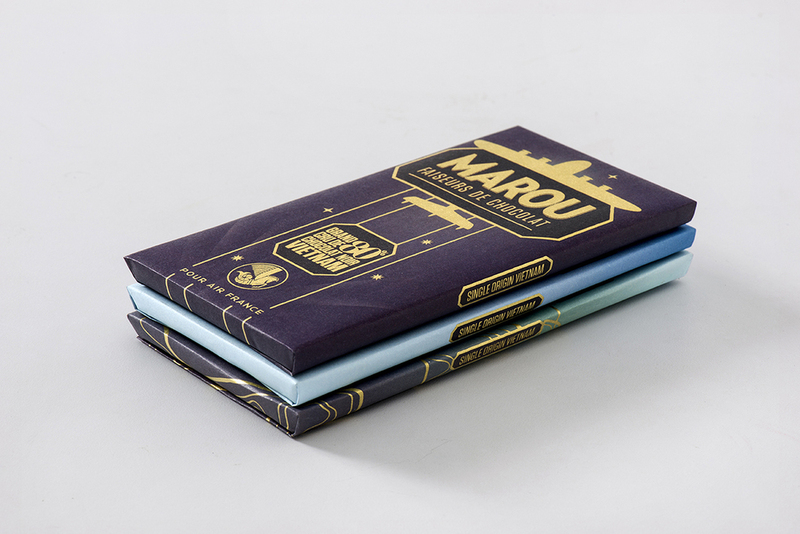 It’s a downright intimidating heritage. 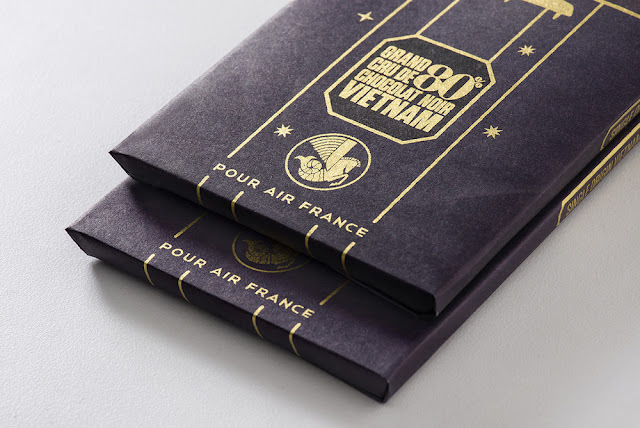 So we were particularly excited work with AF. 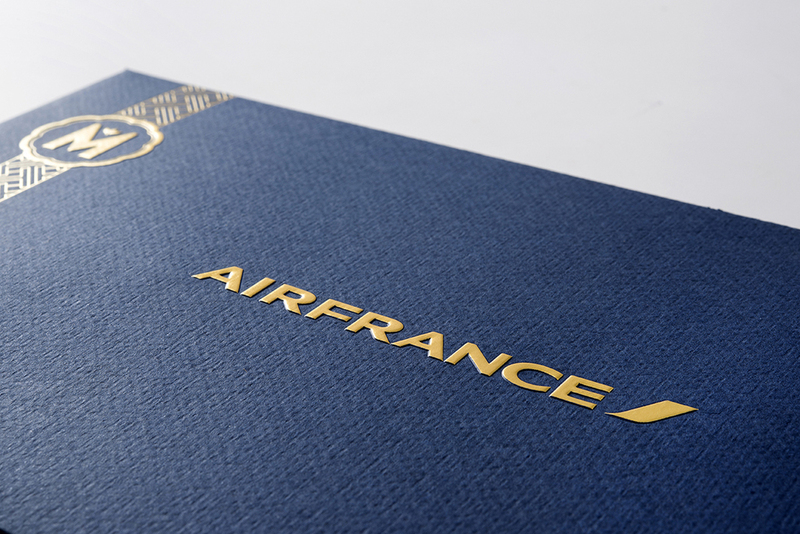 For us Air France stands for a certain art-de-vivre up in the air that we’ve all enjoyed: the staff in gorgeous uniforms, enjoying a glass of real champagne in your seat, good food, and the memory of vintage posters that were an invitation to travel the world. 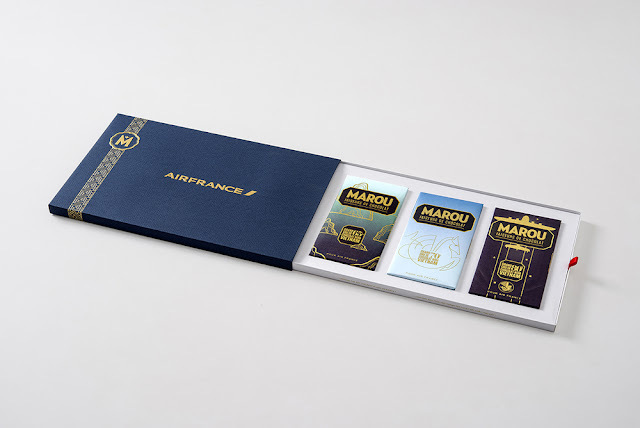 The first regular flight between France and Saigon took place in February 1931, the plane was aptly named ‘Champagne’ and the company that chartered the flight was Air Orient, one of several companies that merged into Air France in 1934. From Air Orient, AF not only inherited long routes that hopped in over a week from Europe to South East Asia through the Middle East and India but also a very distinctive logo: the winged seahorse that still discreetly adorns AF planes and that we just love (I think our designers do too).